So i don't think it is that. Especially as both of them went pretty close to each other. However i would like to prove it. The wiring harness going into the solenoid is 3 wires (Red, Green and Blue. Green and blue should correspond with up and down and i am thinking Red is just positive. The question is does anyone know how many volts goes to the solenoid? I don't want to just jump it with 12v and burn out the solenoids. The next is the switch assembly. I tested the rocker switch on the handle and i think that is fine. 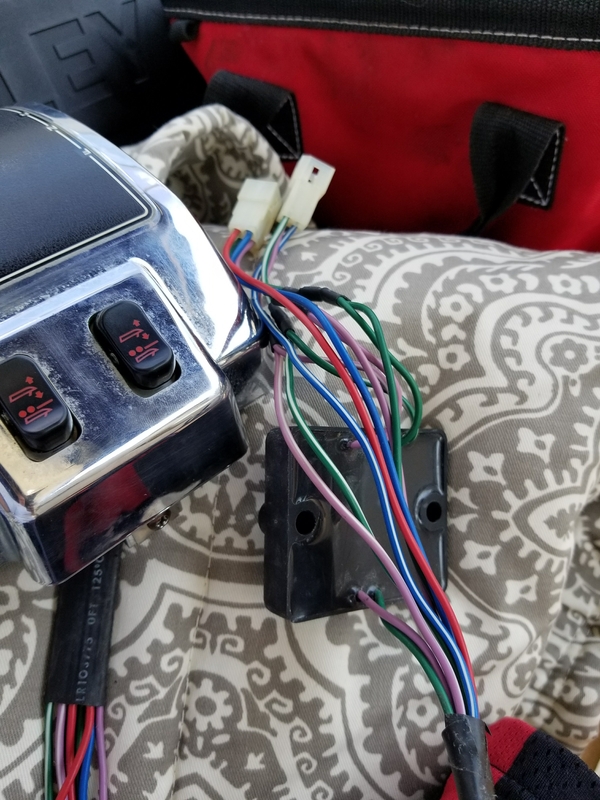 It plugs into a harness with the two individual switches that also will put the outdrives into trailer position. This then goes to a black sealed square. Anyone know how to test the switches and the function of that square? The switches don't work. As for jumping out the solenoids i was just not sure where to jump them or how much voltage. I was hoping to jump them at the round 3 pin terminal coming in to the bracket but wanted to ask here also. OK Got it. Found this site http://marine-engines.wikia.com/wiki/Troubleshooting:_Trim/Tilt_Does_not_Work and it explained it perfectly. So it looks like my switches are fine. Put an ohm meter on the switch from Red to purple. Hit the up switch and it connects. Red to green and down switch and it connects. Red to Blue and switch to trailer mode and it connects. So back to the boat to see if my solenoids got fried. Solenoids are probably one of the cheapest parts you can buy for your boat. Hopefully that is all it is.